When CIBC Wood Gundy renovated their offices at Bentall 4, they wanted to have artwork of local scenes by BC Artists. Colourful, vibrant themes on large canvas's was of primary concern. We created a series of artworks by four BC Artists - Barrie Chadwick, Carol Lopez, Chris Collacott and Wayne Leidenfrost. 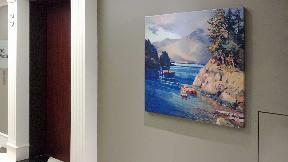 D'or Art Consultants provided Vancouver scenes such as Lighthouse Park, Ambleside Park, Fraser River and Jericho. 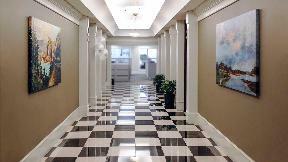 D'or Art Consultants also did an assessment of their artwork, created a list of recommendations and provided estimates as needed. We arranged the sale of some artwork with free fair market evaluation and sold it for them. We also cataloged and estimated their Art Collection and made recommendations for selling, re-framing and installing their artwork.